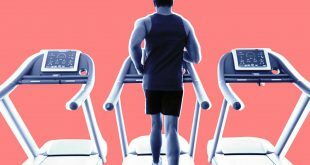 Let’s face it, while we would all love to say that we can utilize the same exercise routines, as a woman, than a man can – more often than not, we would never keep up. However, that is not necessarily a bad thing since most of the exercises that men utilize are not recommended for women. Our bodies are structured much different and aside from the physical strength and endurance aspect of things, we do not have the same goals. So where does that leave us? If you think about it, it actually leaves us in a better position solely based on the fact that we do not have to work as hard to achieve the same results! We do however, need to work smarter and understand the ins and outs of various exercise routines. Losing weight after having a baby is one of the most common reasons that women jump into an aggressive workout routine. 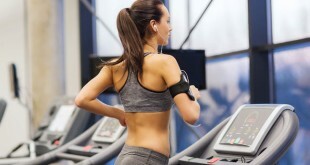 However most women utilize exercise routines that do not target their problem areas. For example, if you want to shed some pounds in your waist line, will you do leg lunges? Probably not! Flabby, flab, flab, flab! No matter what size you are, women experience the infamous “weirdly sensitive” area under their arms and calves that surrounds the muscle and definition underneath. In attempts to tighten up these areas, many women incorporate into or focus on lifting weights – not always the best move either! Of course, there are other common problem areas that women often face but the moral of the story is that there are certain exercise routines that are better suited to achieve permanent results – ones that cater to a woman’s body and physique. Let’s take a look, shall we? The warm-up routine utilized will play a vital role in your overall success. It is recommended to incorporate well-rounded breathing warm-ups into your stretching. This will help train and prepare your body to the strain of the exercise. 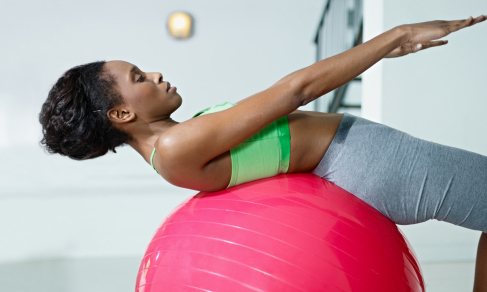 Here are some simple thumb rules to consider when developing your daily work-out routine. F you are looking to shed a few even pounds you will need to utilize a full body workout that uses lunges, leg lifts, squats and cardio-type sets. Many women utilize specialty and theme classes such as yoga, kickboxing or swim dancing. There is a good reason for the current Zumba craze – it offers a full body workout, awesome new talents and a great time practicing! Working out all of your muscles evenly will reduce the sore aftermath of a good workout – but these types of exercise will also help you shed excess water and fatty tissue in the target areas used the most such as your abs, hips and extremities. As exotic as it may sounds, many women find that pole dancing classes have also helped them to shed some unwanted pounds! When looking to build upper body strength, many women find that it is easier to utilize a Shake Weight in their daily exercise routines – giving them more resistance in fewer sets. While the weight will build muscle in the forearms, it can be used in a variety of different positions and incorporated into other routines to enhance the results and target other areas such as your back and chest. If you do not have a Shake Weight, you can achieve the same results with the resistant bar or by increasing your weights by 5lbs. Many women can’t achieve their fitness goals is because they are handling their exercise routine completely wrong! If you are not doing the routine properly, you could not only cause severe damage but you could actually be doing the opposite of what you intended just by working out the wrong muscles. Previous How Many Calories Does Walking Burn? Next Tips on How to Get Pregnant With a Girl?